Cross made of white refractory clay with thick crystals and wood. 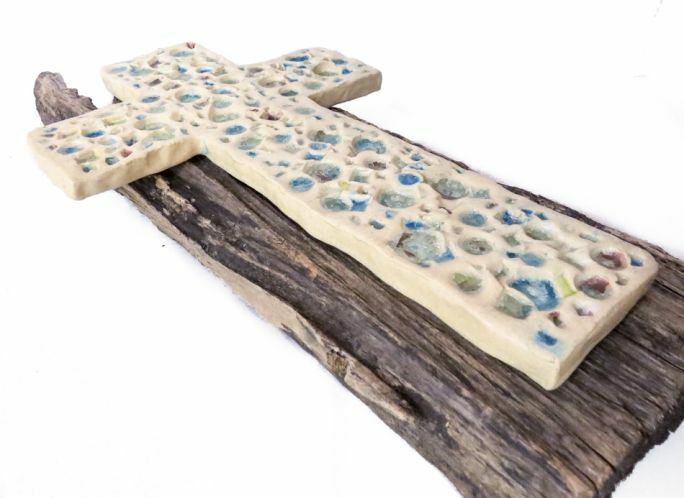 Cross crafted by hand in a single original in white refractory clay, with thick crystals and wooden support. The uniqueness of the piece, taken care to the finest detail, makes it an object of high artistic value and prestigious furniture.